Complete your continuing education to renew your Oregon real estate license today. All of our courses can be completed At Your Pace online in order to help you maintain your license. Once you complete your class you will have an official certificate of completion available to print or save for your records. 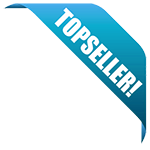 We are approved to offer online CE by the Oregon Real Estate Agency (ORREA Provider # 201212221). Oregon requires 30 total hours of CE for principal brokers, brokers, and property managers. Most licensees are required to take 27 hours of Continuing Education and 3 hours of LARRC. 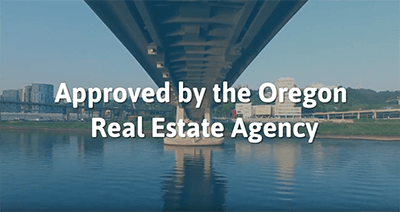 If you are renewing your license for the first time you will want to take the Advanced Practice Course which is specifically designed and approved through the Oregon Real Estate Agency for your initial renewal. This 30-hour course package is ideal and approved for Oregon brokers initial license renewal. Topics in this package are designed to expand on the basic principles of real estate that newer brokers have mastered. It also includes the Oregon-state mandatory 3-hour LARRC course. This complete 30-hour package will satisfy your CE requirements to practice real estate in Oregon, and help you ensure that you are protecting your clients as you help them navigate real estate transactions. In addition to 27 hours of required content on client protection and related issues, this package includes a 3-hour LARRC course to meet Oregon's mandatory Law and Rule Required Course. This 30-hour course is the complete package! In addition to the 27 hours of subjects required under OAR 863-020-0035, this course also includes the required 3-hour Law And Rule Required Course (LARRC). Topics we'll cover include contracts, advertising, valuation, escrow operations, ownership and land use issues, loan and financing issues, and lending and disclosure laws. This 30-hour package offers a simple CE solution for a great value! With 27 hours of education on required topics, as well as the mandatory 3-hour LARRC class, this course package will fulfill all of an Oregon real estate agent's education requirements for a renewal period. This course is designed to not only satisfy all 30 hours of continuing education that licensees require, but also sharpen management skills necessary for running and managing a real estate brokerage effectively. In addition to 27 hours of management and business topics, this package includes the mandatory 3-hour LARRC for Oregon licensees. This 12 hour package is an ideal review for real estate licensees who wish to review some of the most important legal issues in real estate. The course will cover topics such as ethics, fair housing regulations, agency, property titles, deeds, taxes, encumbrances, and real estate contracts including leases, listings, and sale agreements. This 9 hour course will satisfy part of the CE requirements for licensed real estate agents in the state of Oregon. In this course, we'll explore important topics including sale contracts, real estate math essential to your practice, how to create a comparative market analysis, the the escrow and closing process. This real estate package is designed to satisfy 8 hours of Oregon's CE requirements for licensed brokers. It will provide an overview of concepts and skills related to the business of property management. Topics we'll investigate include: basic property law, legal descriptions of property, land use controls and restrictions, valuation and taxation of property, investing in real estate, and foreclosure processes. This 7 hour real estate package will help you sharpen the business skills needed to perform real estate smoothly and efficiently. We'll review skills and practices including recordkeeping, practicing real estate safely, and managing a real estate business. This 6 hour course focuses on on financing topics in real estate. It offers a thorough overview of various loan programs including government loans. We'll also review essential points of lending law that a licensee should be familiar with, and the documentation you'll need to be able to assist your clients with. This 3-hour course will cover the law and rule changes to the practice of real estate in the state of Oregon for 2018 and beyond. It will focus on the updates to ORS 696 and OAR Divisions 1-50. This class satisfies the state requirement for licensees to take a law and rule update course. This state-approved course will meet 3 hours of a real estate licensee's CE requirements! Although it's based on the REALTOR Code of Ethics, licensees don't have to be a REALTOR to benefit from this course. The ethical practices we'll discuss here set the standard for the real estate industry.